Many students take the availability of water for granted. 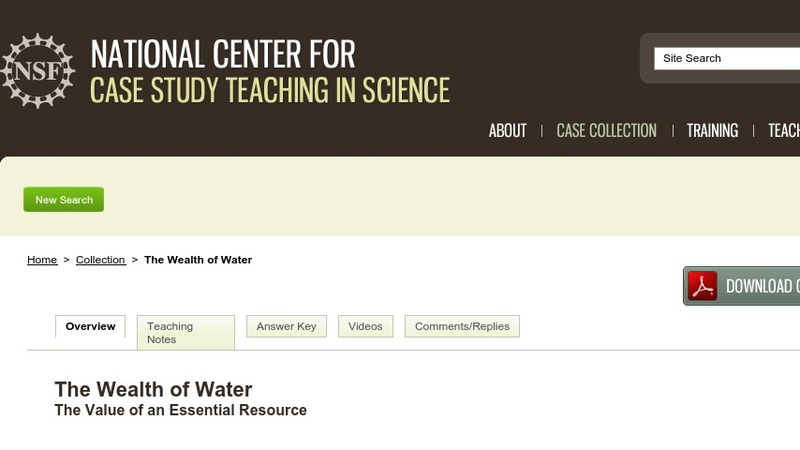 This case study, which focuses on the Cochabamba water revolt in Bolivia, is designed to encourage students to think about water as a limited natural resource. Students learn about the limited nature of freshwater and the impact that access to clean water has on people across all socioeconomic demographics. Designed for a non-majors course in global ecology, the case could also be used in non-majors and majors courses in biology, environmental science, environmental policy, ethics, and international relations, among others.